2017 AGoM T shirts have arrived. 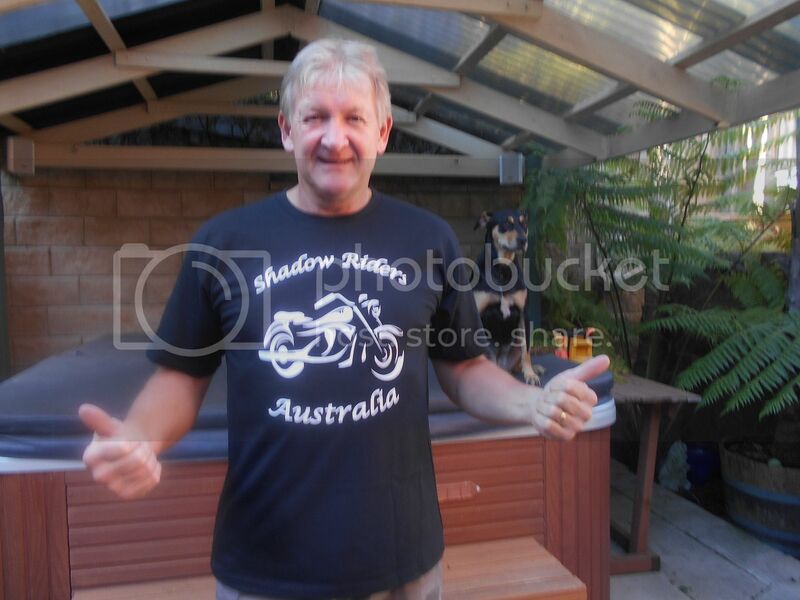 There were over 50 orders for T shirts, which was a great response. 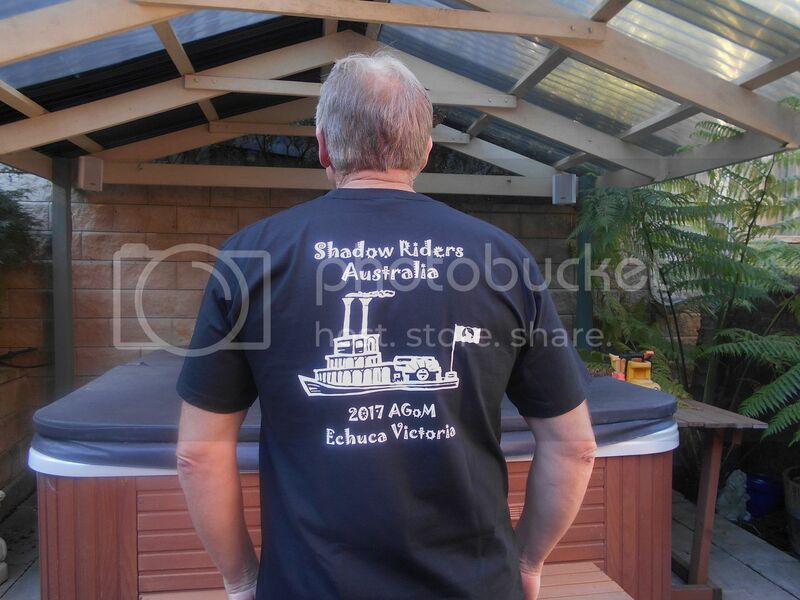 They have arrived and those who have opted to collect their T's at Echuca, they will be there waiting for you. Looks like you borrowed my dog, Jesse, for that photo shoot, George. Hey that's my dogs name Jessie. Hi Spinal The size is XL, which is my normal size and it is a perfect fit. Mine's different to yours, George. BECAUSE HE'S NOT ALLOWED ON THE BLOODY SPA COVER.